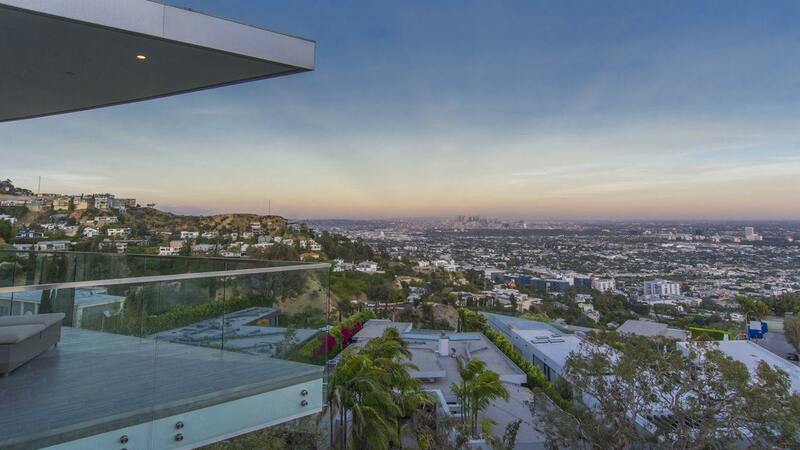 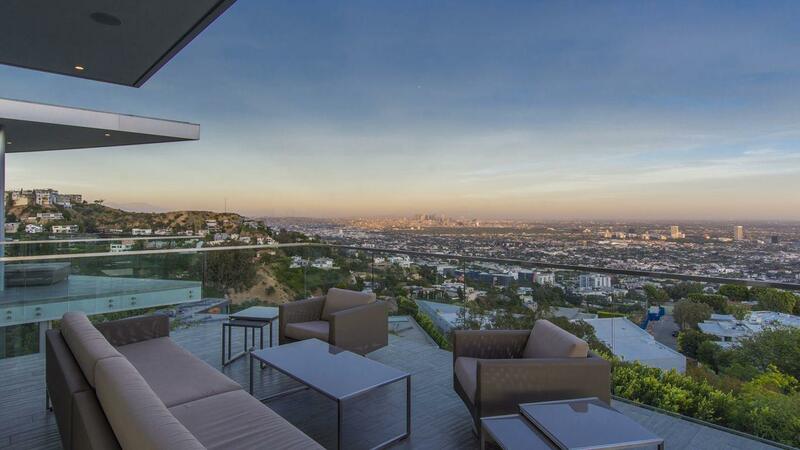 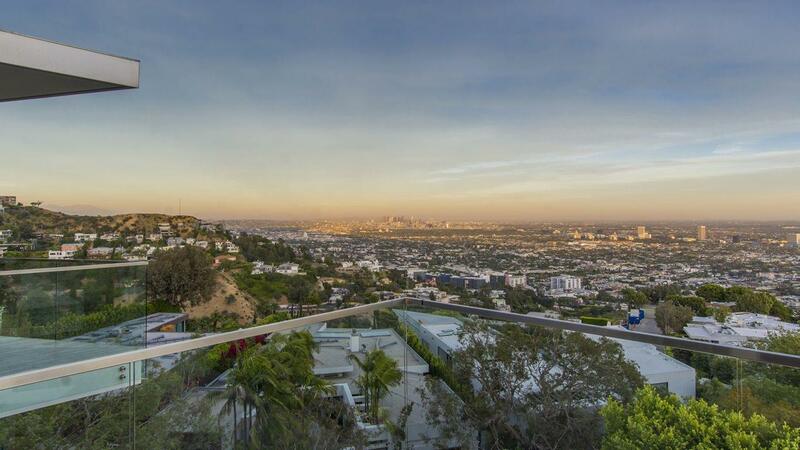 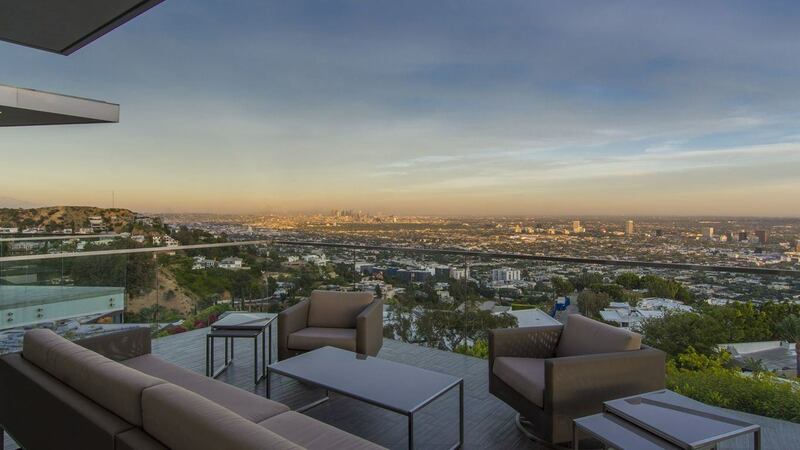 Villa Magda is an amazing retreat located in Hollywood Hills offering breathtaking panoramic views of downtown Los Angeles all the way to Santa Monica, Catalina Island and beyond. 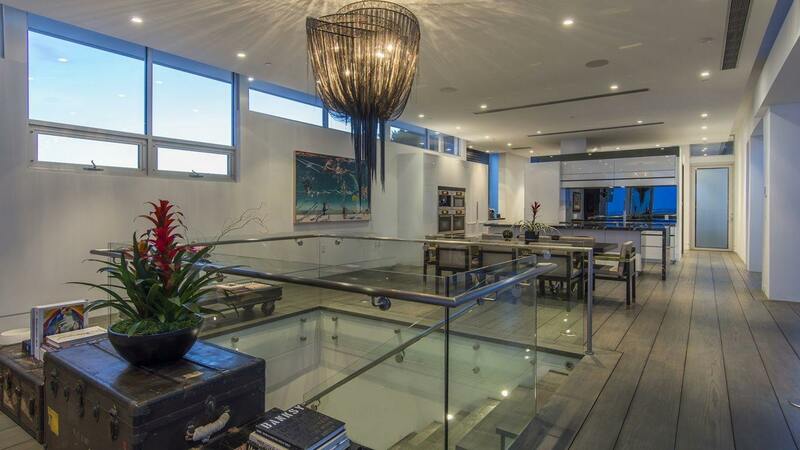 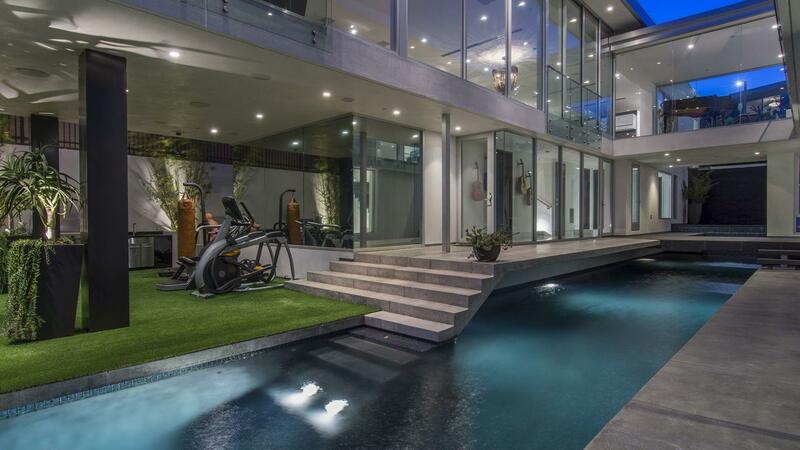 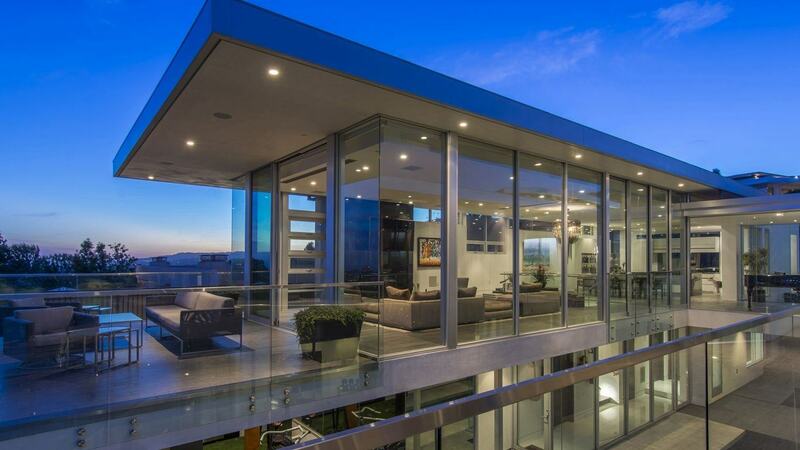 This ultra-modern home is perfect for those who wish to experience the best of luxury living, comfort, and security. 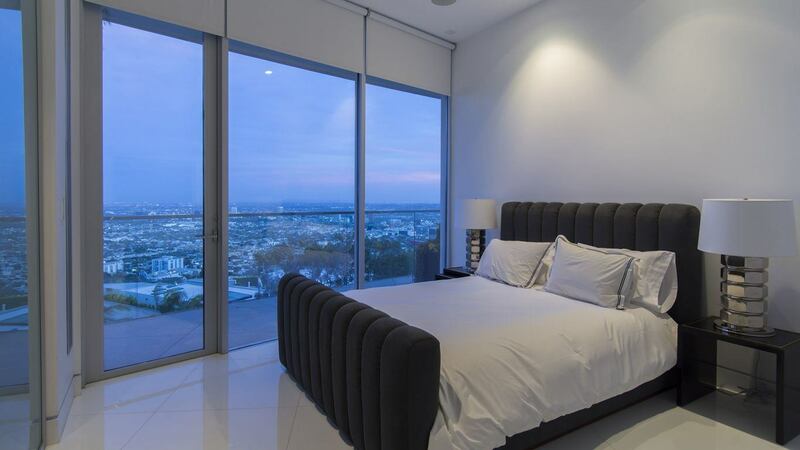 Villa Magda has 6 modern bedrooms, 7 bathrooms, a state-of-the-art gym, a superb theater, a game room, and many more features. 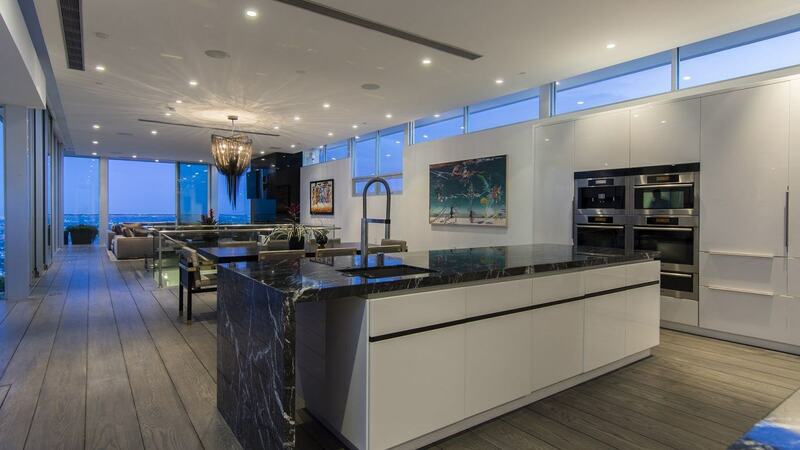 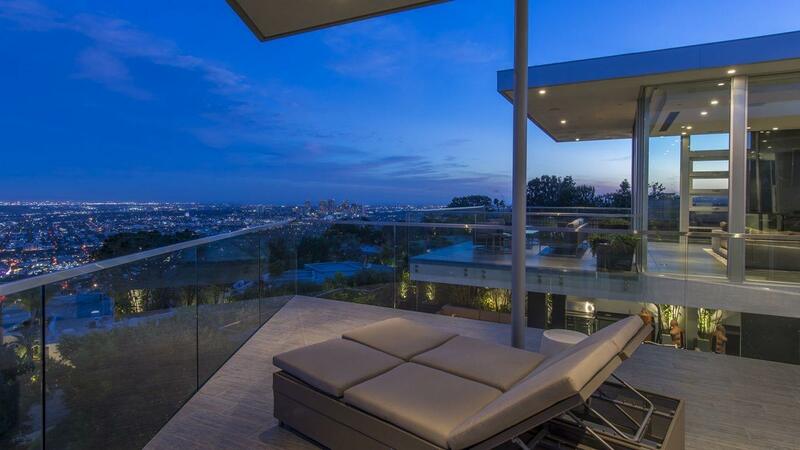 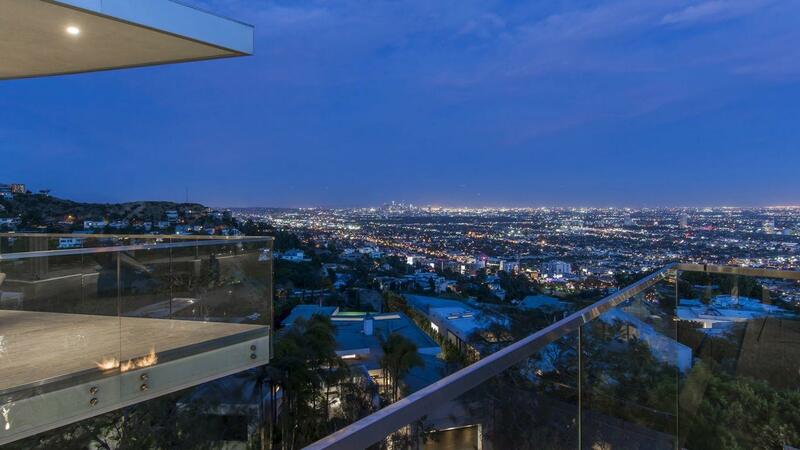 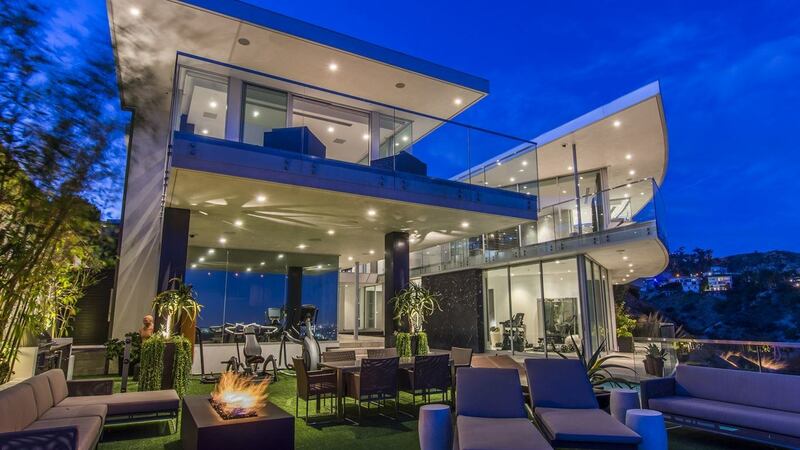 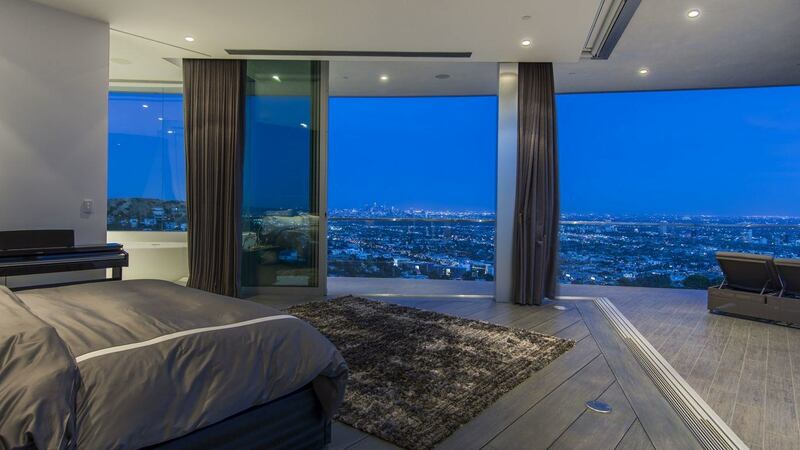 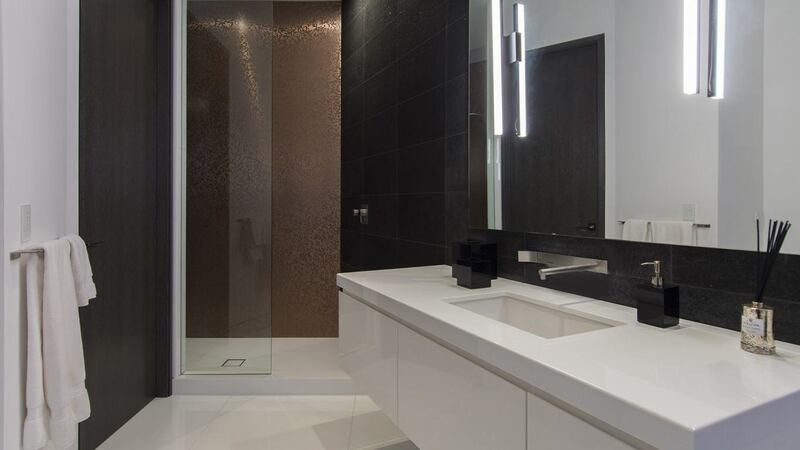 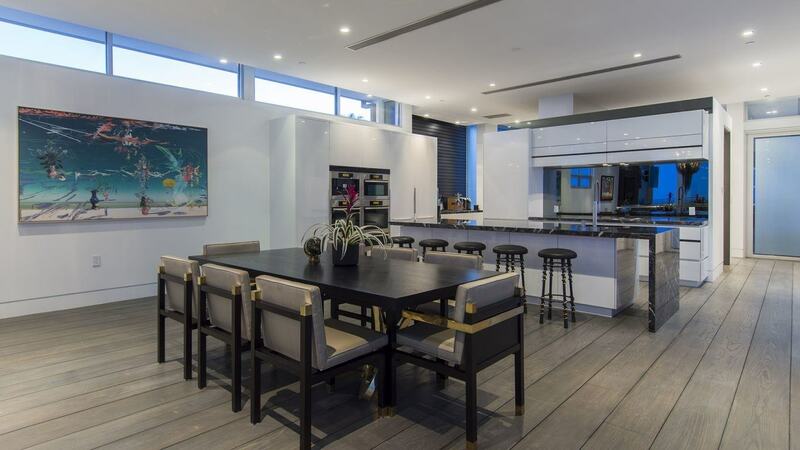 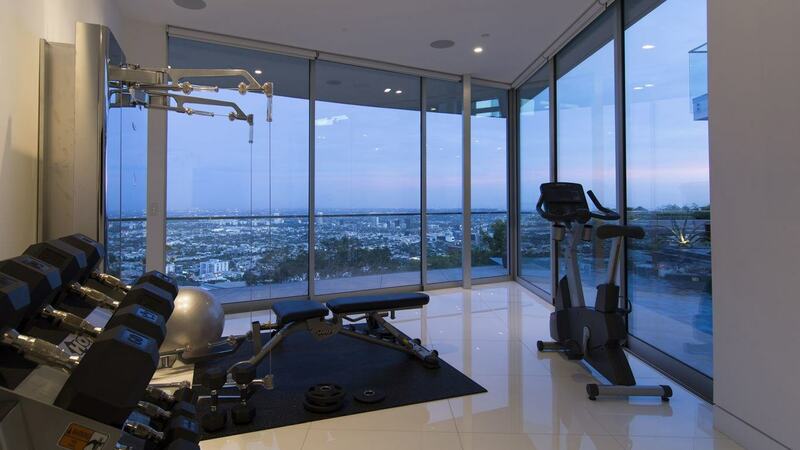 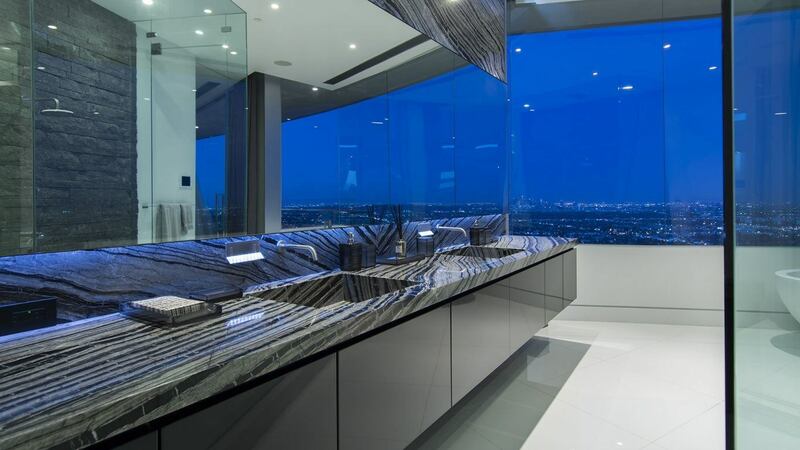 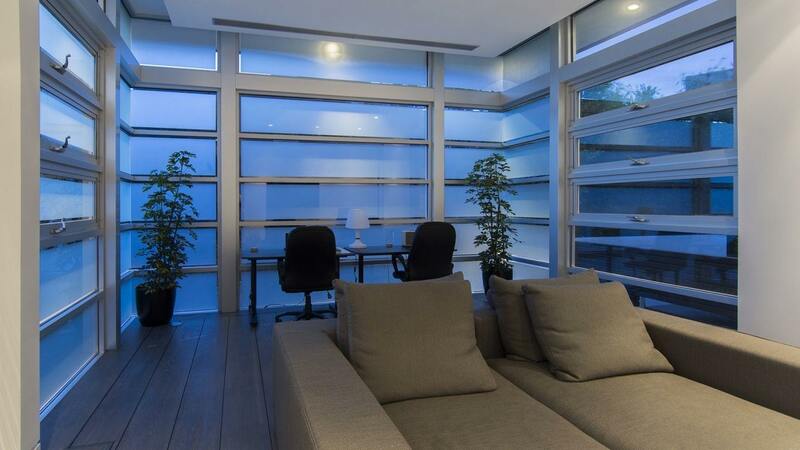 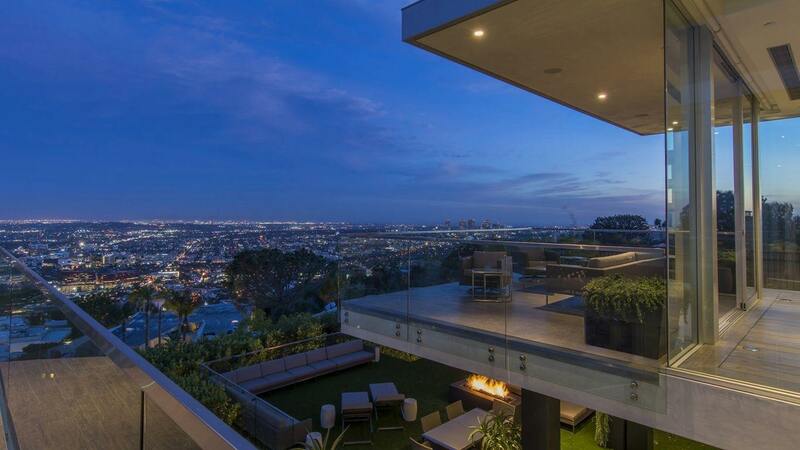 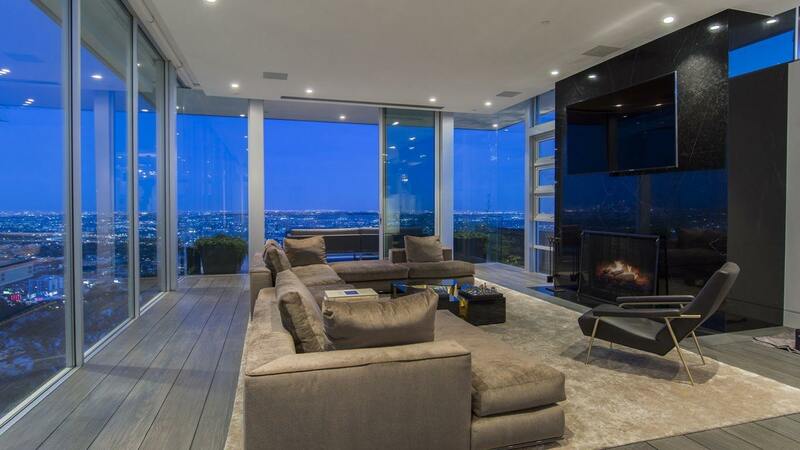 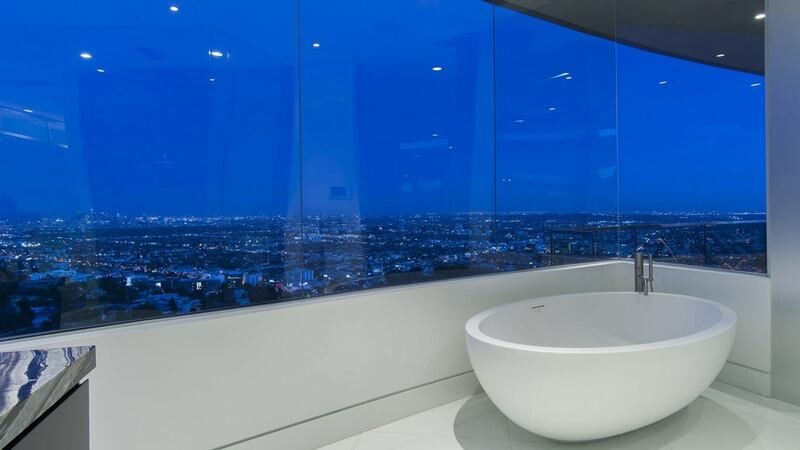 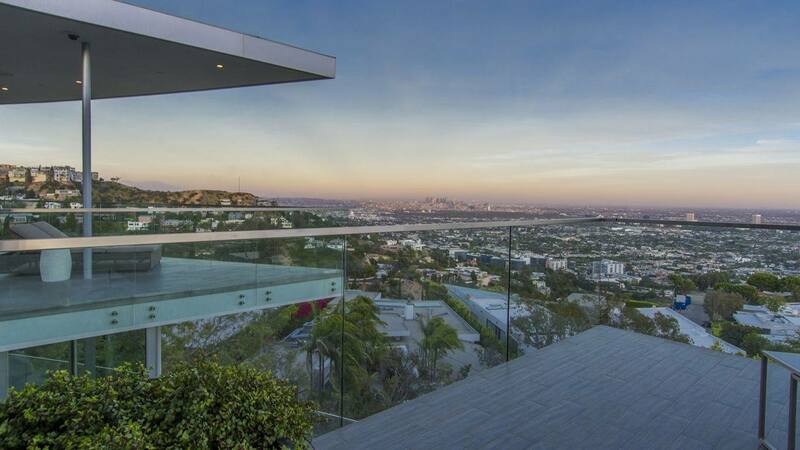 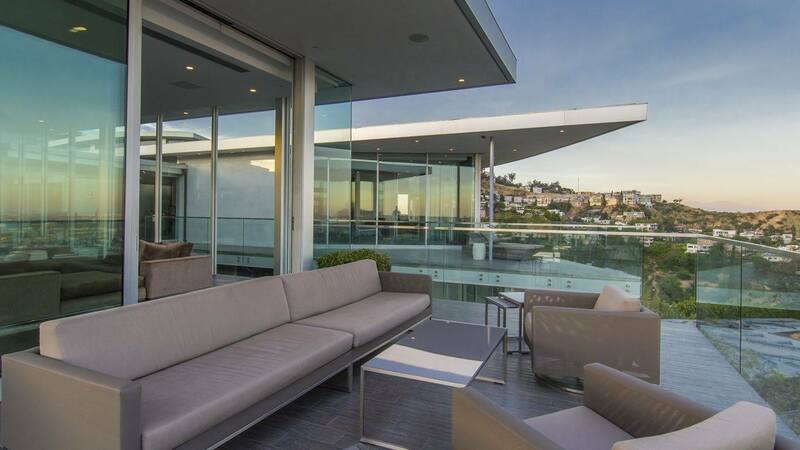 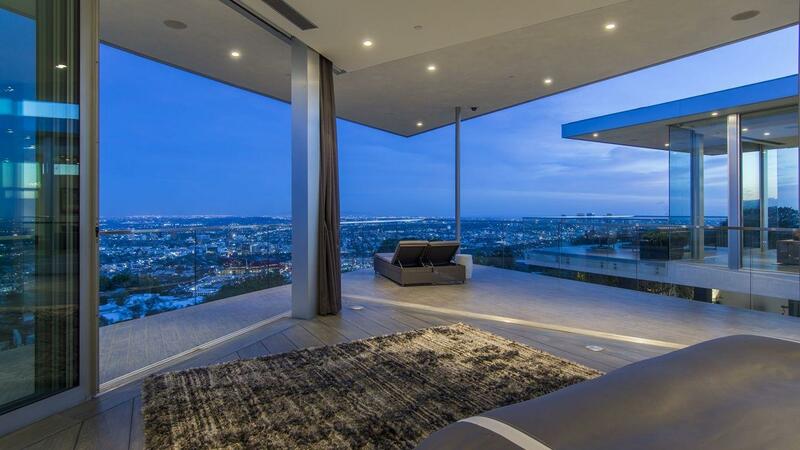 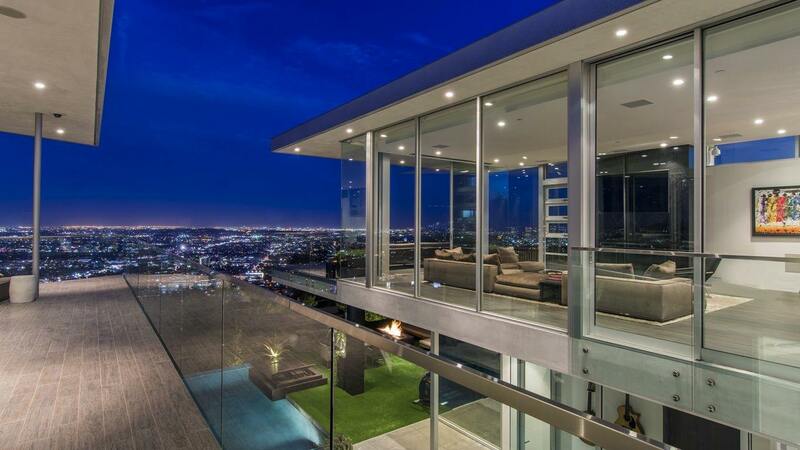 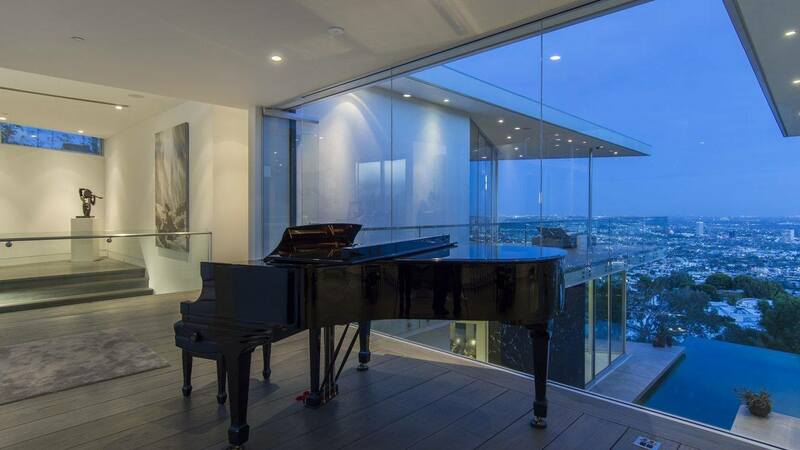 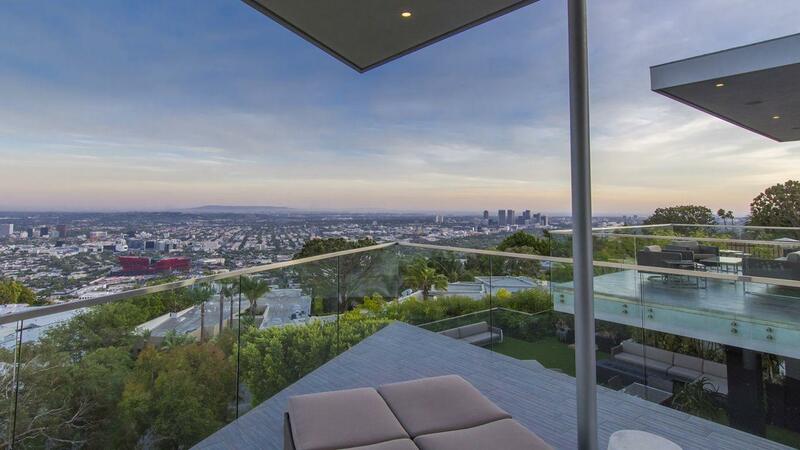 This residence is exceptionally-designed and is built with floor-to-ceiling glass walls to provide ample lighting as well as panoramic views of the city. 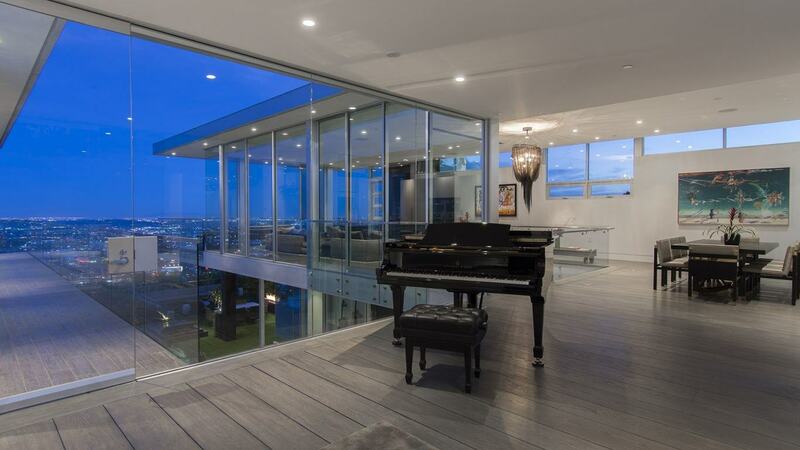 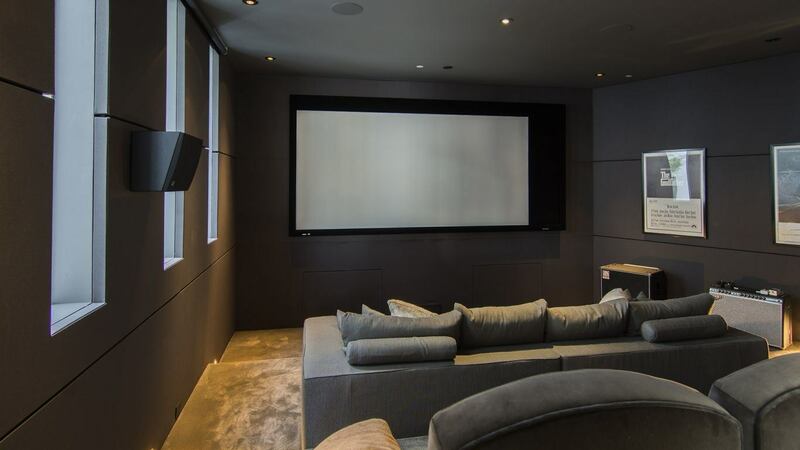 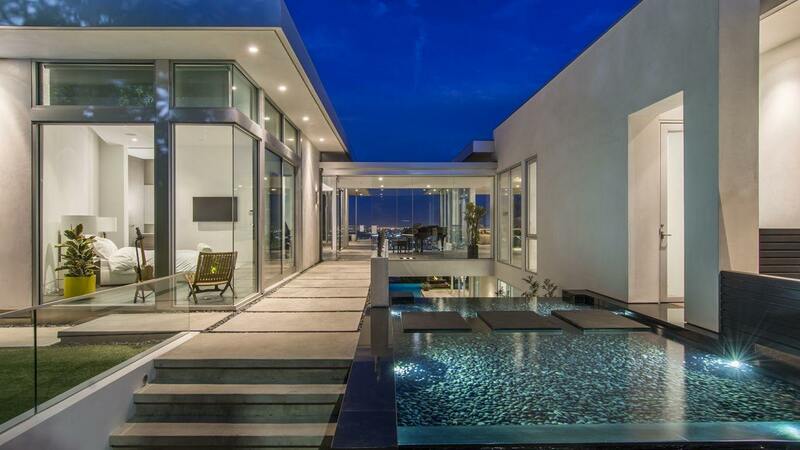 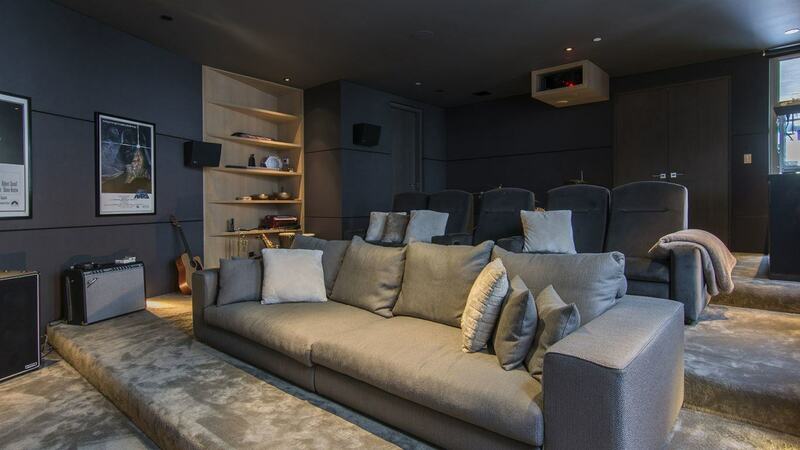 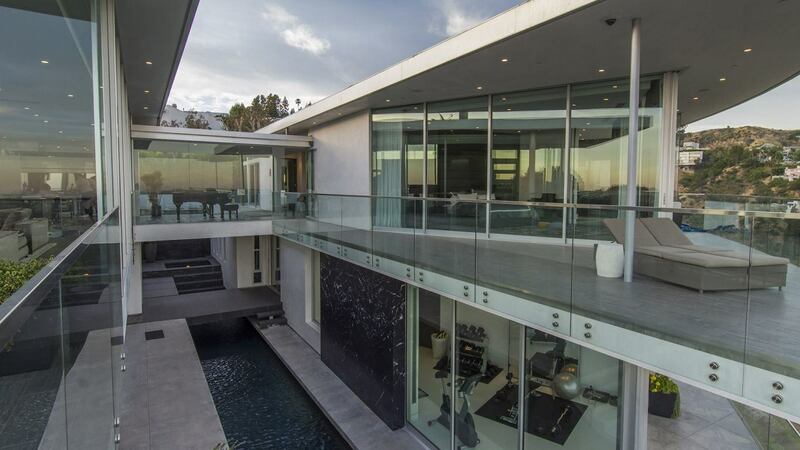 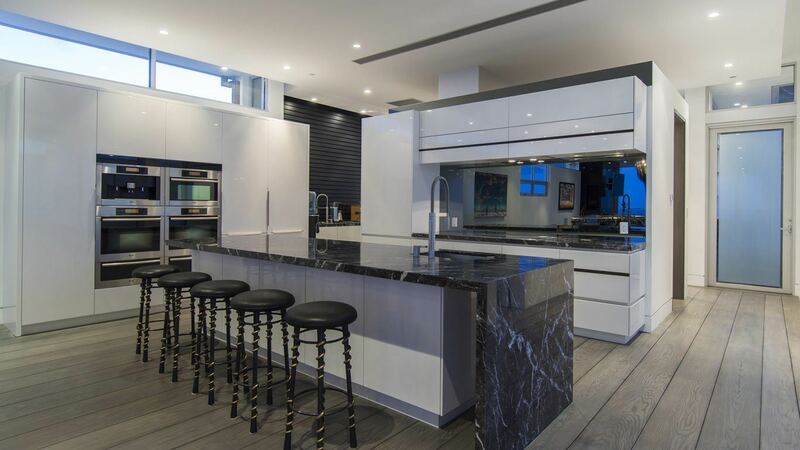 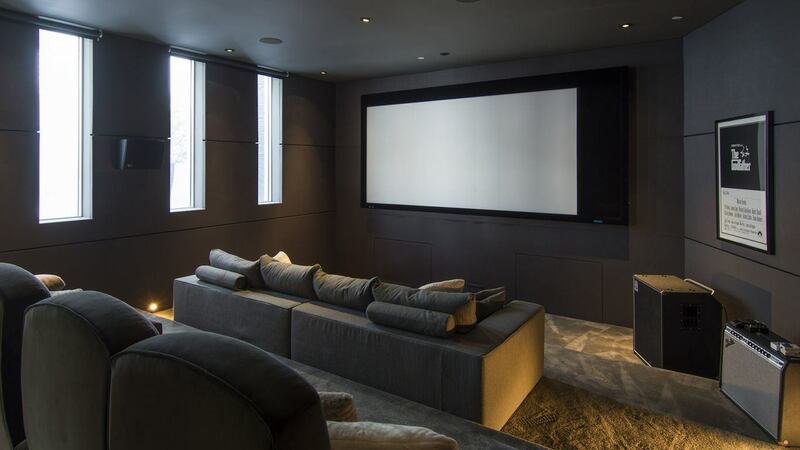 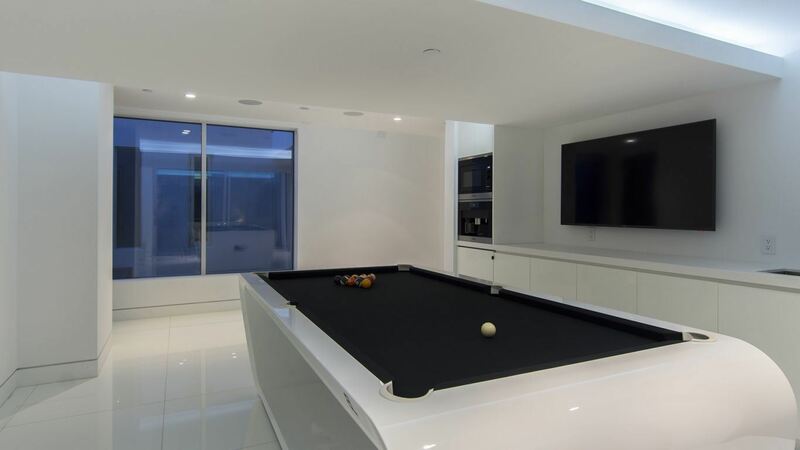 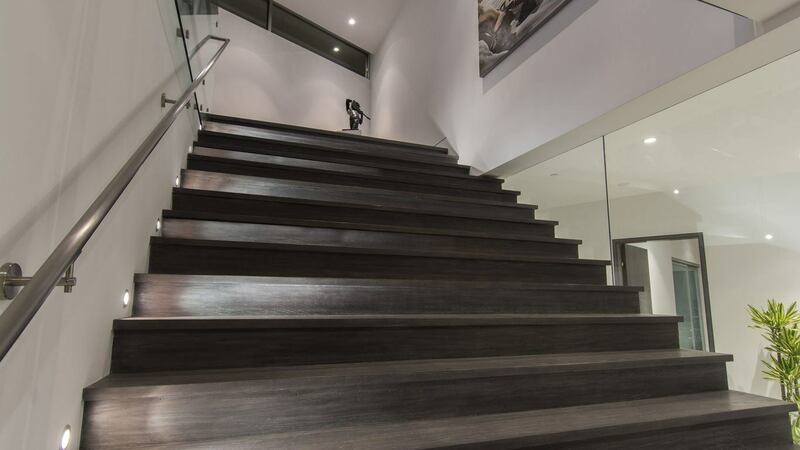 This incredible contemporary residence is an excellent example of modern-architecture-meet-technology highlighted by a remote access Vantage Home Automation system that features a fingerprint recognition security system. 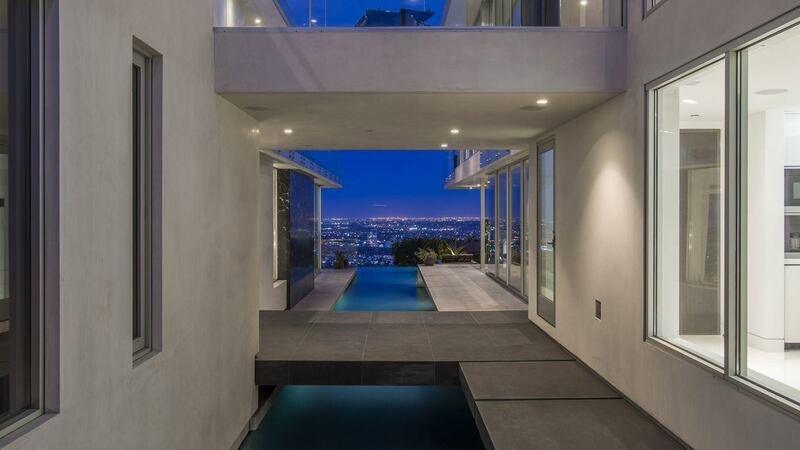 The residence is divided by a central design element, which is a feature that begins as a water wall adjacent to the driveway. 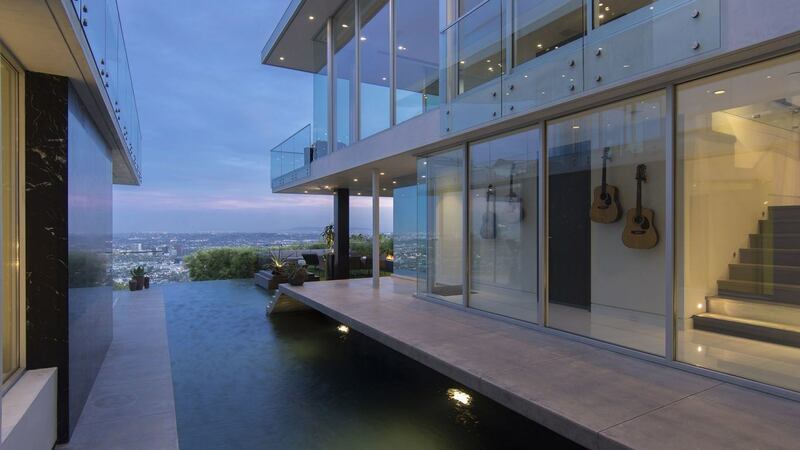 Created as an entry sequence to the home, the water flows into an ornamental pool before dropping down into a spa below, after which it cascades into a 75-foot lap pool which then becomes a cantilevered wet-edge infinity pool, seamlessly blending over the slope and creating an extraordinary view.